4LAKids - some of the news that doesn't fit: CHILDREN’S ORAL HEALTH CARE: Not this year. Maybe next year? …but on the cheap! CHILDREN’S ORAL HEALTH CARE: Not this year. Maybe next year? …but on the cheap! Dental disease is the leading factor in school attendance and is critical to academic performance among low-income students – so lets not provide the ‘essential benefit’ next year (even to kids with insurance) …and let’s cut reimbursement when we do! the demise of Healthy Families and its combination into MediCal. Both state programs serve children’s health needs. the simultaneous ACA rollout and Healthy Families/MediCal consolidation was overwhelming to all the bureaucrats+bureaucracies. As a result children’s oral healthcare in California was thrown under the bus. This is a prime example of adult issues trumping the interests of children – and for all the handwringing apologies none of the parties gets any sympathy from me! Children are entitled to this care under federal law; prevention and prophylaxis is supposed to be free under ACA. Kids are entitled to childhoods without the pain and long-term-damage of dental disease now …not a year from now! If kids voted and owned property – if they got grumpy and wrote letters to editors and went to boring meetings of bureaucrats and regulators and insurance companies – if they got as mad as hell and shouted that they aren’t going to take it anymore - they might get the respect and care they deserve. But they don’t and they didn’t. They suffer with their toothaches. August 8th, 2013, 4:00pm :: More than a million California children lack dental insurance coverage. The board of Covered California declined Thursday to make changes to children’s dental coverage that will be offered to the public starting Oct. 1. Instead, the state's health insurance exchange will focus on improving coverage in 2015 — the second year of the program. The decision came after Covered California's staff decided not to include children's dental care in medical plans that are mandated by the Affordable Care Act. Families can purchase standalone plans outside the exchange. But health advocates complained the exchange’s approach will cost consumers more than it should. Child health care advocates packed Thursday's hearing in Sacramento to urge Covered California’s board to add health care plans that include dental care for kids in the first year of the program. Advocates argued that doing so would make many buyers eligible for federal subsidies. 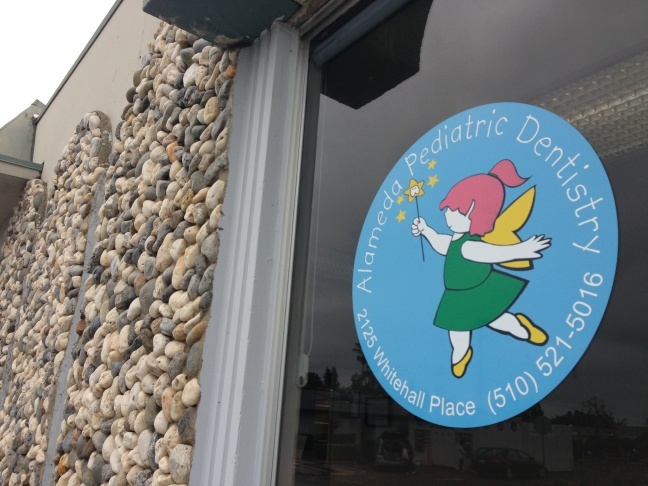 State Insurance Commissioner Dave Jones submitted a letter to the board warning some parents could pay up to 400 times more for children's dental care. At the meeting, Deputy Insurance Commissioner Janice Rocco insisted the exchange could make a last-minute solicitation to insurance companies to offer pediatric dental coverage as part of comprehensive medical plans. “It’s more affordable, which means more families will have the coverage, which means children’s health will be improved,” Rocco said. Tori cited technical restrictions of the computer program that's been built to sell policies to the public and the reluctance of insurance providers to make a change so close to the launch of the exchange. Several representatives from professional dental associations said children’s oral health will suffer unless parents are mandated to purchase dental insurance. The California Society of Pediatric Dentistry reports that tooth decay is the most prevalent childhood disease. More children miss school because of dental pain than any other reason. That’s why pediatric dental care is considered an essential health benefit in the Affordable Care Act. August 16th, 2013 :: In a move that affects millions of California students who rely on Medi-Cal for dental services, reimbursement rates for dentists who care for low-income children will be cut, the Department of Health Care Services announced Thursday. Students with dental disease face new obstacle in Medi-Cal rate cut (column 2 above/cont) - Exempt from the 10 percent fee cut are nonprofit pediatric dental surgery centers that provide “at least 99 percent of their services under general anesthesia to children with severe dental disease.” These centers serve children who have “rampant disease” or who are too young to be effectively managed without anesthesia, said Robinson from the California Dental Association. The services are valuable, she noted, but preventive dental care is crucial.